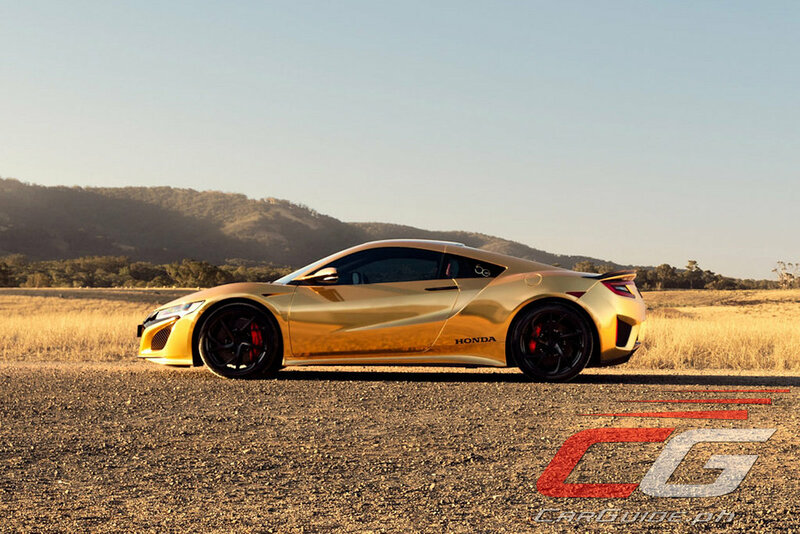 You think a “regular” Honda Civic Type R or a Honda NSX doesn’t stand out enough? 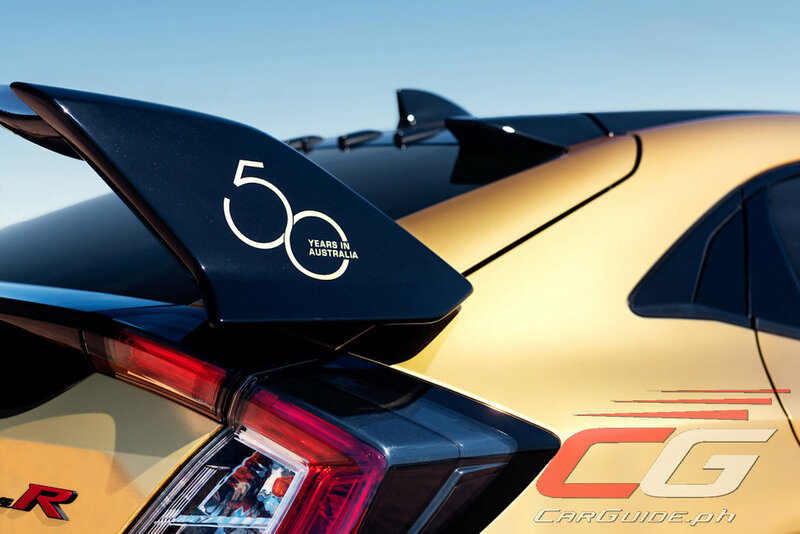 Well, how about wrapping them in gold foil. 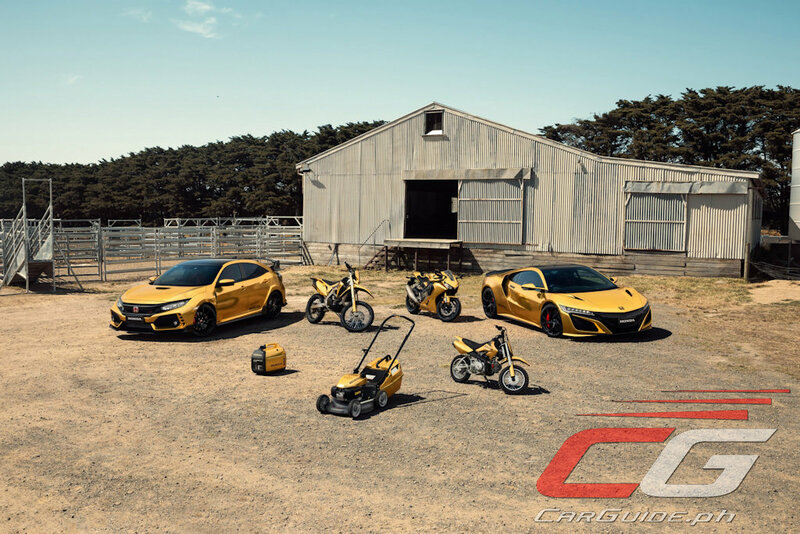 Celebrating 50 years in Australia, Honda there set to work wrapping the Civic Type R, Honda NSX, a CBR1000RR Fireblade motorcycle, a CRF450L Enduro, CRF50F, and even a lawnmower and power generator in gold foil. 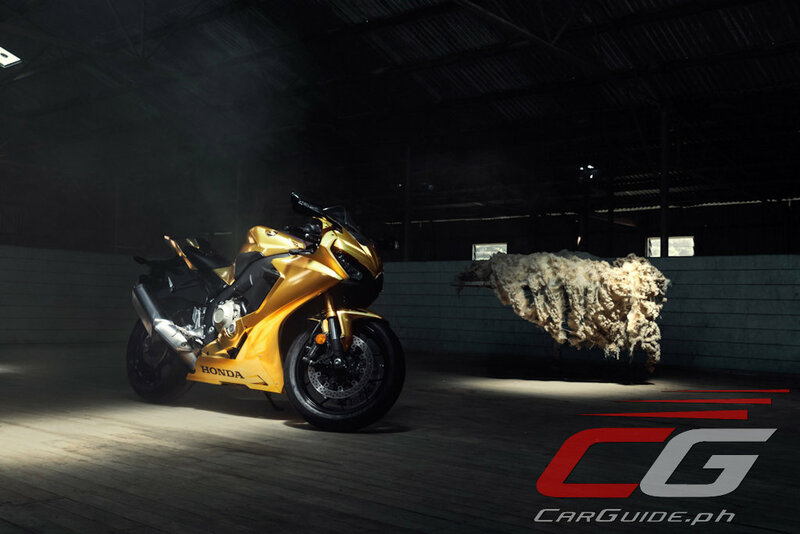 The Melbourne-based Vinyl Wraps and Graphics produced the striking gold bodywork by applying a gold chrome film that’s been laminated by a clear satin film to help disperse the reflections. The thickness of the film was a challenge to work with given the intricate bodywork, but overall, everyone’s happy with the result. 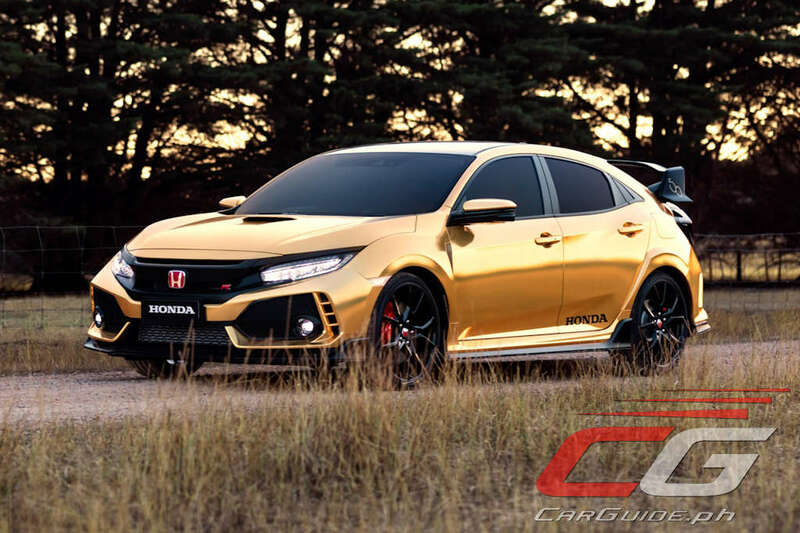 Aside from the striking gold bodywork, these models also have satin black accents and this can be seen on the badging and even the wheels. 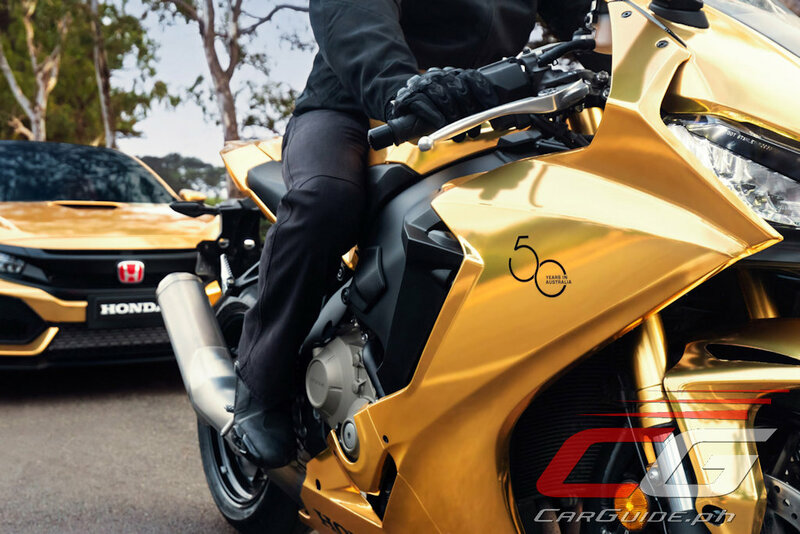 Currently, Honda Australia is limiting these gold-wrapped vehicles to the show circuit and will start in a series of pictorials and videos commemorating Honda’s 50th year in Australia. 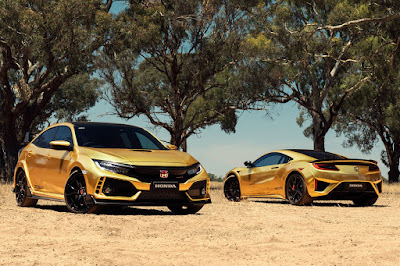 With Honda Cars Philippines celebrating its 30th anniversary in 2020 (they were established in 1990), perhaps they can take a page from their Australian counterparts and create a memorable one-off or even a series of limited-run models. What do you think?